Deckers Outdoor Corporation, maker of the world famous UGG boots as well as Teva, Sanuk and Hoka shoes, has partnered with WorldViz to accelerate their product life cycle by using Vizible, the next evolution in communication and collaboration from WorldViz. With offices spread across the globe, Deckers faces the challenge of having distributed teams work together quickly and effectively to make countless business decisions for each shoe. Now, with Vizible, it’s easier to do this than ever before. Deckers’ designers can review and present new concepts for shoes to their colleagues in a fully interactive, immersive virtual environment. As the first prototypes of a new shoe design strut off the manufacturing line, they can be instantly scanned and shared in VR with stakeholders around the world, without the need to travel between continents. Once a shoe’s design is complete, Deckers’ team can stage the shoe in a virtual retail environment, testing it for layout and appeal in virtual storefronts before the shoe is ever transported to the retail location. 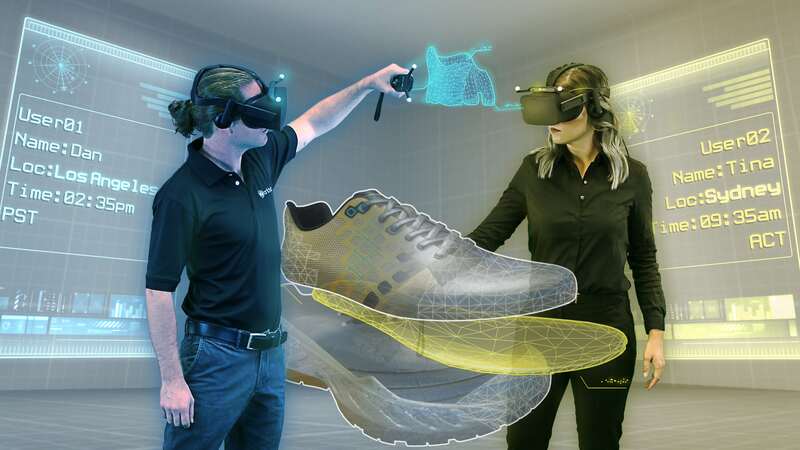 From start to finish, WorldViz’s Vizible platform lets Deckers’ global teams gather in VR to review, analyze, improve and deliver the next season of incredible footwear, while saving money in the process. Check out the video above to see more about this use of virtual reality for enterprise collaboration.